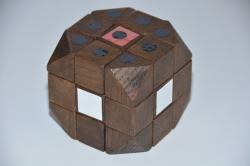 A very careful replica of Ernö Rubik's first 3x3x3 puzzle. 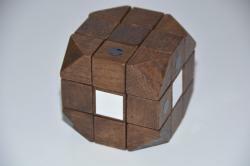 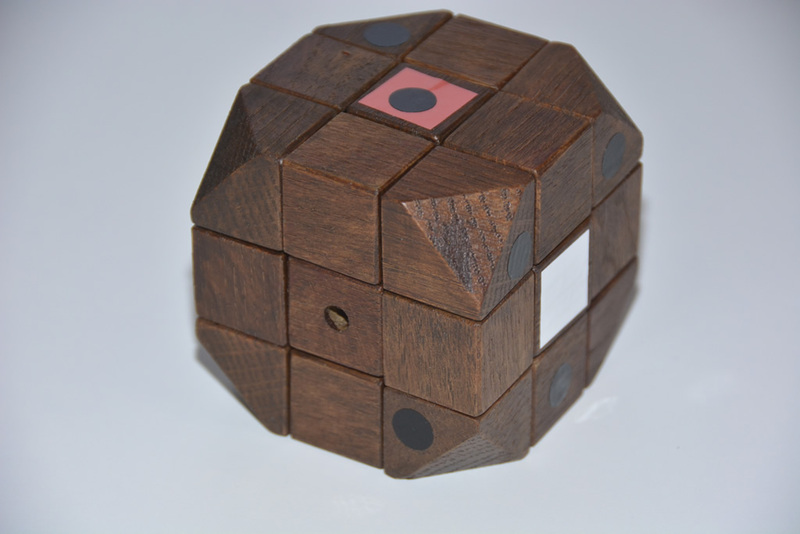 The puzzle replica consists of oak extensions around a standard 3x3x3 cube. Even the unexactly placed stickers have been positioned in the same way as on the original.